On Thursday, the Community Forum went very well. We felt prepared to present our idea to the Windward Community. At our booth, we had leftover pastries from Amandine Patisserie, that way the guests could interact with our presentation. We did not have a script because we felt educated on all aspects of our project and thought we could answer the questions asked by our audience. During the presentation, many people came up to us and asked questions about our problem and solution. They all enjoyed our idea and loved how we impacted the homeless shelter in as little as a day. We got many comments saying that we were doing something great. This was encouraging us to continue our solution and continue helping to homeless while limiting bakery waste. This week we put our solution into action. On Sunday night, the three of us went to Amandine Patisserie. We collected two large, full boxes of various types of pastries. We are still collecting data by contacting Upward Bound House. We are asking questions to see how much food they receive weekly to compare that number to the amount we donated. This way, we can see how much of an impact we made. Unfortunately, they have not gotten back to us with the specific number yet. Although what we donated to Upward Bound House only helped a few families, we think that getting more people involved can increase the amount of people helped. We only donated a small amount of food, but the more that we donate the bigger impact we can make. 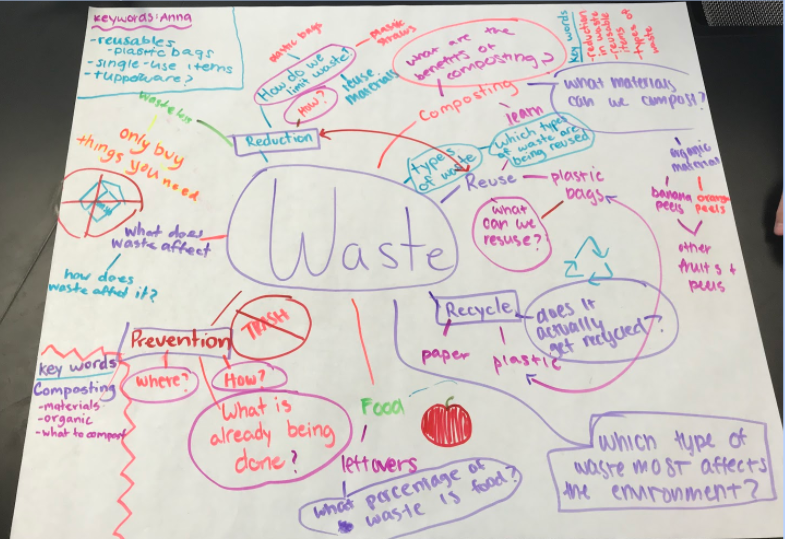 As we found, it is extremely difficult for three seventh grade students to solve the colossal problem of food waste in Los Angeles in just a few weeks. But, we will continue our mission by retrieving leftover pastries and giving it to homeless shelters on a more regular basis. The longer we do this and the more people that get involved, the bigger impact of reducing the amount of bakery waste will enlarge. After, more food will go to a good cause and less food will be thrown out and wasted in bakeries in our community. One aspect of our mission that we could have taken to the next step in making an impact was the amount of food donated. The next time we collect pastries and donate them, we should be in better contact with Amandine in order to ensure that we have a good amount of food to give to those in need. This is something we will make sure to do next time. Although we only took the first step towards our ultimate goal, we believe we are on the right track to helping reduce the problem of waste mitigation in Los Angeles. Our group is finalizing our solution and starting to implement it. 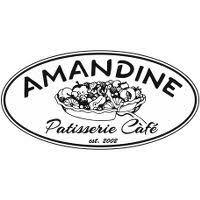 After calling different bakeries and shelters we ended up talking to and negotiating a way to work with Amandine Bakery. 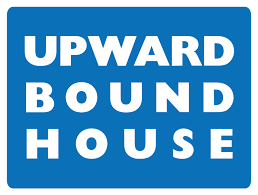 Also, we got in touch with Upward Bound House which is an organization in Santa Monica which offers housing to those in need. Amandine Bakery informed us that we can drop by and pick up their leftover and not sold baked goods on a late weekend night. We also secured our plan with Upward Bound House to let us come by and drop off the Amandine pastries. Although we ended up with our two organizations at the end of the week, not everything began as a success. We had contacted a lot of other local bakeries and homeless shelters but a majority of them turned us down. It was tough finding the right bakery and homeless shelter, but in the end, we are very glad that we are working with Amandine and Upward Bound House. We are really happy and exciting for what lies ahead involving idea. So far it is working out well for us. We are so glad to be able to complete our CBL project while limiting food waste and giving food to those who need it. This week we met with some faculty members who gave us helpful feedback to improve our innovative idea. Because of all of the feedback, our solution has changed in various ways. Now, we are trying to work with bakery waste instead of restaurant waste. We feel that in restaurants the food being wasted consists of leftovers from the consumers plates, meaning that the food is then contaminated after being touched by a customer. In a bakery, most of the time the bakers tend to make more food than is going to be sold. This way, the leftover baked goods have not been touched by previous customers and is still in perfectly good shape to be eaten. After thoroughly revising our solution, we decided that our new solution is to transport the leftover pastries and baked goods to a homeless shelter or food bank such as Westside Food Bank and Upward Boundhouse. Another helpful idea that the faculty gave us was to contact our Windward Community Service Program. The idea is to have the high schooler students at Windward pick up the leftovers from the bakeries and drop it off to the organizations. This idea will greatly benefit the high schoolers by knocking off some of their community service hours. The first few times, we will transport the food. The three of us will go as a group in order to insure that our plan and route is successful and runs smoothly. From there, we will make adjustments if needed. We have done more research to look for any similar organizations to our idea and we found that nobody is pursuing the same solution. If all goes well, we plan on donating more to homeless shelters such as shampoos and other items that are left over from hotels and other public shelters and spaces. We believe our solution will make a positive impact on our community because food waste is such a big problem in our society. We want to limit the food waste while beneficially impacting the homeless and those in need of food. We plan on making a difference in our society and every week we are one step closer to limiting food waste in our community. It has been a tough week for our group and it has been hard to focus on this project due to a close friend’s death. We have made little progress but plan on doing a lot of work next week. We have tried to get in contact with multiple restaurants but none of them are giving the answers we need. From research we’ve done, restaurant waste is a very big factor in food waste so we know that there is something we can do to help. We are going to continue this process of calling restaurants until we find a restaurant that we feel we can work with, one we think we can impact. We are also trying to get in contact with some organizations to ask them what they’re doing already to help and what they think we can do. We are doing research on what is already being done to limit waste in restaurants in Los Angeles. We have kind of begun to sculpt an idea for a solution to our problem but there is still a lot of work needed to be done to finalize it. We’d like to have customers of restaurants that do not finish their meal (almost all customers) to have their leftovers collected and by the end of each day, we are trying to get OPCC or another food or homeless shelter to collect these daily leftovers and bring it back to their shelter and give the food to the ones in need of it. We aren’t completely sure that this plan will succeed because they might be allowed to give food that is already contaminated. If this plan works, and we start working with OPCC, we want to start putting a small paragraph on the bottom of menus in restaurants so that customers will care more about our idea and see that it will help so many people. We are still in the process of developing our solution to restaurant waste, but we think we can make a huge difference. Since our return from spring break, we have progressed in many different ways. We were originally going to pursue our idea on supermarket waste and trying to limit excess produce that was unused or expired and we felt confident with our idea. After doing more research and interviews with supermarkets and grocery stores, we were finding that this was not that big of a problem in our society and that we might want to research something else involving food waste. We struggled a little bit on what idea or problem we were going to commit to but our group has come to an agreement to create a solution for restaurant waste and limiting excess food that customers leave behind and preventing that food from going straight to the landfill. We want to dig deeper into what happens with food that is unused at restaurants because based on our research, we have seen that this is a big problem in the US. We have yet to interview anybody involved with restaurant food waste but we plan on doing it as soon as possible. We believe our project is important because so many people globally do not have enough food. If we prevent, or at least reduce the amount of food wasted at restaurants and give the customers’ leftovers to the people in need, this will dramatically give a positive impact on our society and reduce the number of people that starve each year. Around 1.3 billion tons of food are wasted globally each year, and around 40% of that comes from restaurants, says Business Insider. Also, restaurants commonly prepare more food than they sell which is another big reason we need to help find a solution on how to limit restaurant waste. We are on our way to limiting food waste in restaurants and finding a solution to reducing restaurant waste. We are a group of Windward students researching waste. More specifically, we’re focusing on food waste. We felt compelled to write about waste because it is such a important and problematic issue in America. We’re digging deeper into food waste by researching meal plans and reduction of wasted produce. We chose to learn about food waste specifically, by narrowing down other ideas we had. This subtopic interested us because during our research we found out many things about food waste and why it is such a big problem in the US. We plan on learning more about food waste and finding a more specific problem. We know that reducing food waste is such a difficult task for a small group of 7th graders to affect in such a short amount of time. We plan on making a difference to food waste and progressing a great amount each week.